Halloween and an absurd amount of processed sugar seem to go hand-in-hand. With all of the parties and trick-or-treating in the very near future, you may be scrambling to find some healthier versions of fun & festive Halloween foods and treats. Here are some of my favorite healthy versions of Halloween foods that will look great on your food table for that Halloween party that’s around the corner. Enjoy! The great thing about Pumpkin Peppers is you can add anything you want for the stuffing. I’ve seen them stuffed with mini-salads, rice and beans, roasted veggies, or anything you desire. Cut the top of the pepper off and remove insides, carve your pumpkin face with a knife, and stuff with your desired toppings. Pumpkin hummus is a fun, festive and healthy addition to your table spread this season. It’s also incredibly simple to create! 1 can chickpeas, drained & rinsed; 1/2 cup pumpkin puree; 1 tablespoon minced garlic; 1/3 cup tahini; 2 tablespoons lemon juice; 1 teaspoon cumin; add fresh cracked pepper and cayenne pepper if desired. Mix all ingredients in food processor, blend until smooth and desired consistency. Using mason jars as your fruit cup holder, layer pieces of pineapple and orange slices to create a “candy corn” look. Top with a coconut whipped cream — my favorite — if you desire. These are great for parties and best of all, they’re healthy! It’s up to you what you’d like to put inside of it, but using a pumpkin as a bowl is as festive as you can get. These are perfect for parties — just put your dips inside of a sliced, hollowed pumpkin, and you’ll have a crowd pleaser on your hands. Do you have unique and creative ideas to have a healthy Halloween? Leave a comment below and share your not-so spooky treats. I’ve talked many times about how I love snacks on my blog. My favorite snack is fruit, which is so good for you! Plus, it’s so easy to take a banana, apple or orange on the road with you. Many people have asked what I snack on besides fruit so I wanted to share my favorite, easy to travel with and high fiber snack…Roasted Chickpeas. Fair warning- be careful not to eat the whole batch in one sitting or you’ll be a little too gassy for you’re the other travelers around you! Combine all ingredients in a mixing bowl. Mix until chickpeas are well coated. Spread the chickpeas onto a baking sheet. Roast until slightly crisp, about 45 minutes. Store in a baggie for travel or store in a glass mason jar for home. Do you have a go-to travel snack that you’d like to share? Please leave a comment below and share. Drum roll please…The holidays are here – a magical time of year filled with sparkling lights, homemade treats, loved ones and holiday feasts. Although there is much more to this season than these large meals, the festivities most certainly can become centered around the dinner table. Many give up on their health goals during this time of year, planning on picking back up where they left off in the New Year. I’ve been there done that thinking my New Years resolution will help me lose the weight I gained at the holidays. It can sometimes feel like a lost cause even attempting, but I have some good news for you! 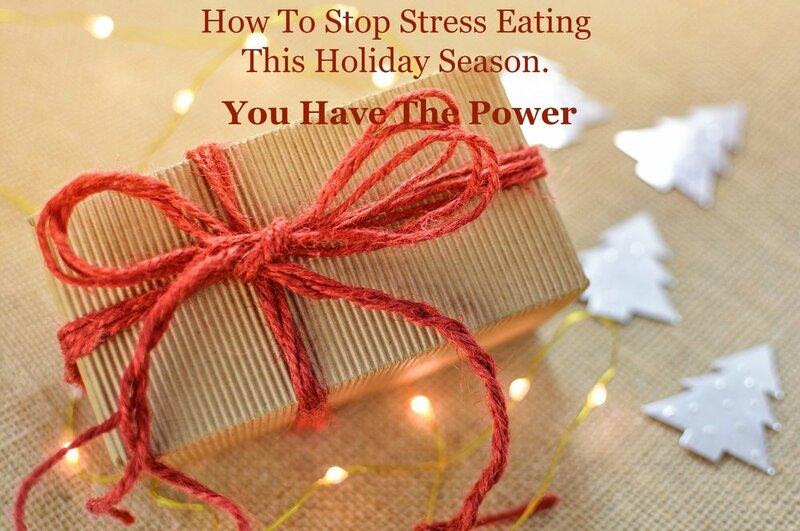 You do not have to compromise your health goals this season, and better yet, you also don’t have to compromise missing out on your favorite holiday meals. With a few healthy tips you can implement this season and beyond, you can add some healthy additions to your meals without anyone noticing. Ditch and Switch. Ditch the refined foods and switch them with healthier options. For example, instead of using refined white flour and/or sugar, use almond flour or coconut sugar (my fav) instead. There are many alternatives to choose from, and you can most definitely find one that you will love – and I bet you nobody will even notice! Aside from the sweets, you can also trade out white rice or mashed potatoes with creating cauliflower rice or mashed “potatoes” out of cauliflower. Get creative and create a new traditional food that your family will want year after year. Fresh Herbs and Spices. You can really dress up a meal by adding fresh herbs and spices to it – I personally use them every time I cook. It’s incredibly affordable and simple to keep a small, fresh herb garden growing in your kitchen window, and you will always have direct access to fresh herbs. Even better, there are incredible health properties in many of the herbs and spices we use and love. Many of our favorite holiday spices are greatly beneficial for our health and a strong immune system, which is certainly helpful during cold and flu season. Cinnamon, turmeric, cloves, and nutmeg are a few of these popular holiday spices that you will reap healthy benefits from, so find a place for them in your recipes anywhere you can! Read my blog about holiday spices here. Use Different Plates. This trick is fantastic. One of my favorite, most powerful tools to stay on track with my health goals is getting creative with portion control. Instead of using dinner-sized plates, which we tend to fill, use smaller plates. Use a mid-sized saucer or salad plate for your dinner plate, and then go back for seconds if needed. A lot of the overeating that we do is mindless, habitual eating because it’s in front of us and we were taught to clean our plates. Taking this temptation away helps tremendously, and you’ll very quickly learn how much you actually need to feel satisfied – I guarantee it is less than you are used to! If you take the time now to set yourself up to stay healthy over the holidays, then I promise you, you will feel like a million bucks as the new year rolls around and your already in control of your weight, health and happiness. Merry Christmas! Happy Hanukah! Happy Life! The holidays are a wonderful time for nostalgia and beautiful memories. I remember my grandmother’s favorite spice was nutmeg and she loved to use it in her holiday baking. Cinnamon. Arguably the most popular of the holiday spices and the most widely used year-round. Cinnamon provides a warming effect to your body in the cold months, boosts your immune system, stabilizes blood sugar and aids in digestion. I love to put cinnamon in my morning lemon water for the warming affects. Nutmeg. Another favorite holiday spice, nutmeg, adds a punch of flavor with only a tiny amount needed, so use sparingly in small doses. Nutmeg stimulates your digestion, helps in detoxifying the body and promotes healthy circulation. Enjoy a dash in your morning oatmeal or homemade nut milk. Cloves. Similar to cinnamon and nutmeg, cloves help promote healthy digestion, which is certainly helpful after those heavy holiday meals. Cloves are also beneficial for reducing phlegm, which is a common occurrence this time of year due to cold and flu season. I like to put cloves in a pan of boiling water, which fills my home with a beautiful aroma. Rosemary. A favorite to add to your roasted veggies, rosemary is a popular Mediterranean herb that can be used sparsely to add a punch of flavor to your dish. Rosemary is helpful for natural stress relief, combatting inflammation, detoxifying the body and calming an upset stomach. Infuse you olive oil by adding springs of rosemary to your oil. Peppermint. The perfect follow-up to your hearty meal, peppermint is wonderful for aiding in digestion, relaxing the stomach and enhancing your mood. Have yourself a cup of peppermint tea as a daily ritual during the cold months or to ease indigestion from heavier holiday foods. Life is too short not to spice it up. As you can see, you have an array of health promoting herbs and spices to infuse into your kitchen this season. Whether it be adding a cup of peppermint tea to your post-dinner wind-down, a dash of cinnamon in your steel-cut oatmeal in the mornings, or sprinkling fresh rosemary on your roasted vegetables – take all the chances you can to enjoy these beneficial spices this season. Leave a comment below and share with me your favorite spice and how you use the spice in your life. 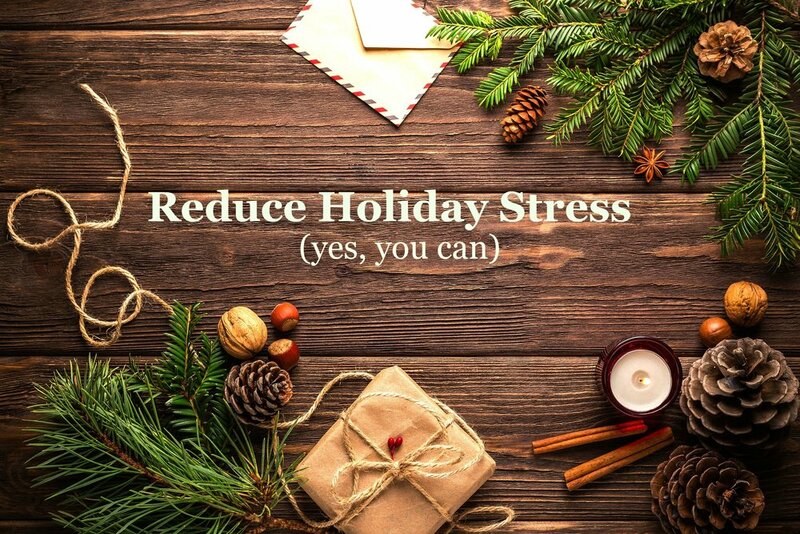 The holidays are among us – a time of year that’s known for busyness, which can lead to stress. After all, you likely have several invitations to gatherings collecting on your counter, a long list of people you need to send holiday cards to, and the daunting task of braving the shopping mall crowds to find gifts for your loved ones. All of this on top of your normal everyday responsibilities can be overwhelming to say the least. I want to share with you some of my favorite ways to navigate this busy, stressful time of year and make this season more enjoyable, less stressful and a time you will remember with fond memories. Give up those expectations. A lot of the stress we put on ourselves this season lies in the notion that we expect things to be perfect. That’d be lovely, of course, but putting your entire extended family and friends in one house is bound to cause something go awry. Dropping the expectations of perfection will allow you to be prepared for when something may pop up. There is joy to be found in each situation, so even when things don’t go exactly as planned – spend your energy finding gratitude in your circumstances and enjoying as much of your time as you possibly can. Tis the season! Find time to move. It’s incredibly important to keep movement in your schedule, no matter how busy you may feel. Even if it’s just a brisk walk after lunch or dinner – make it a habit to bundle up in your favorite scarf and winter coat to go for a walk alone to clear your mind or with someone you enjoy being around. Be sure that you are getting your time outside in nature, breathing in fresh air, while burning off some calories and keeping your heart rate up. What are your favorite ways to get some movement in during the cold months? As you all may know, my favorite way is to get movements in the cold winter months is practicing yoga. You don’t need anything except a mat and the strength, stretch and relaxation you feel form yoga is worth every breath you take on your mat. (yoga video made just for you are on the plan for early 2017). Stay tuned…I’ll be offering you a winter detox to kickstart 2017. It’s a toxin release party (and weight release) that’s tasty and without deprivation.